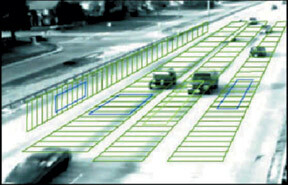 VideoTrak - Get the Picture For vehicle, motorcycle, bicycle, railway presence detection. VideoTrak provides an accurate, viable and cost-effective solution to in-ground detection problems. A tracking based video imaging system, utilizing multi-processing, provides the global traffic community with robust traffic detection and control to better facilitate the advanced and adaptive traffic control systems of the 21st Century.